HG for hire | problem-solving for persons, places, and things. Here are two shirts for sale to the public. 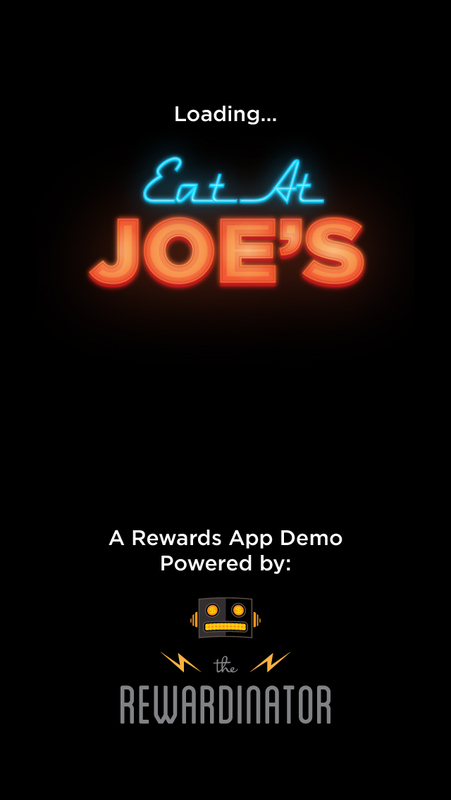 Our restaurant rewards demo is coming very soon. 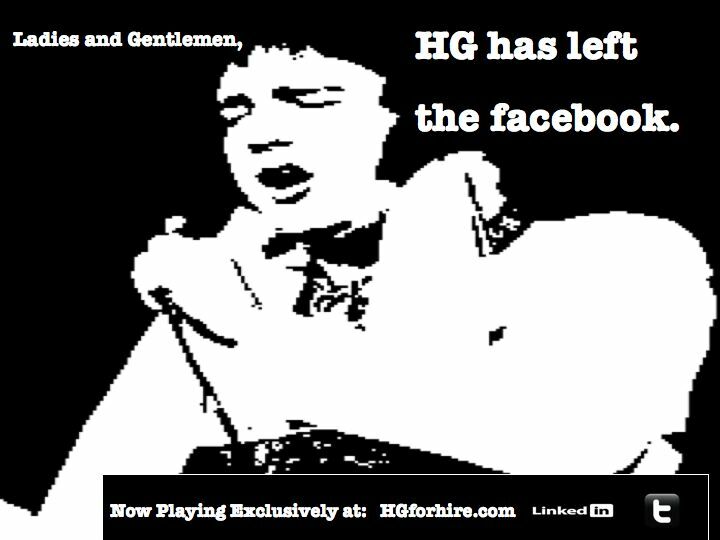 Email harry.groome@gmail.com and you’ll be the 1st to get the links (iOS and Android). Inspired by the results of recent interviews, reality and of course, Arrested Development. BREAKING: Custom Rewards Apps Ready to Roll in 90 Days! 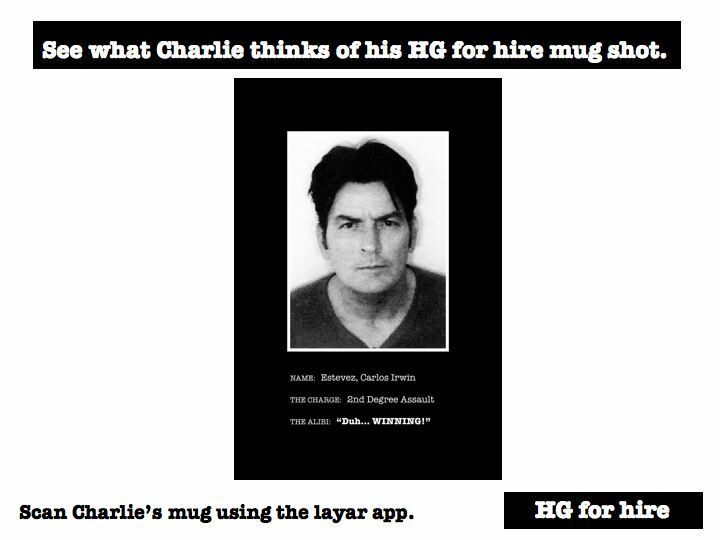 Use your smartphone/tablet and your layar app to see if Charlie thinks his mug is a winner or a loser. 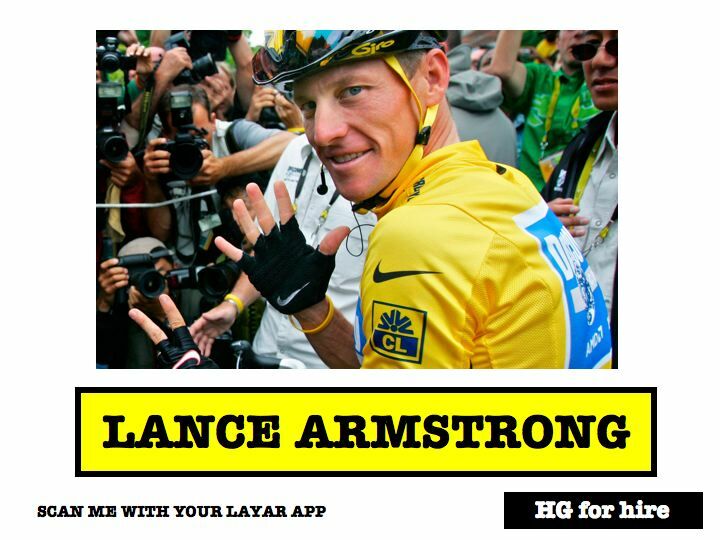 Use your smartphone/tablet and your layar app to get to the bottom of this whole Lance Armstrong debacle. 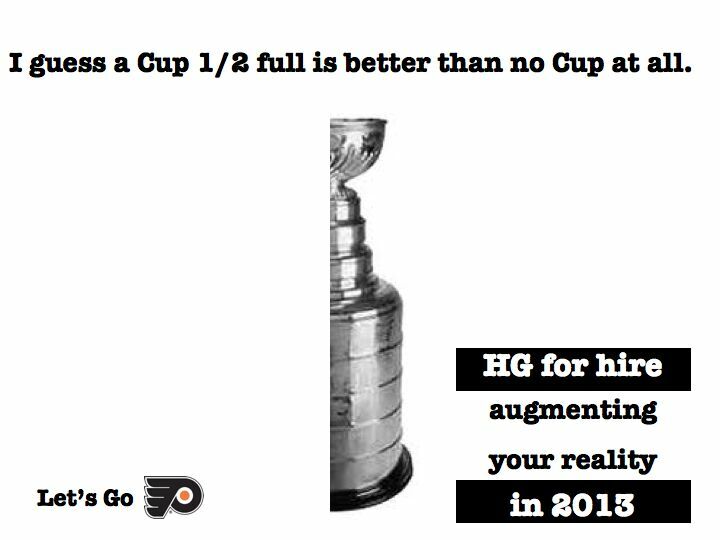 Use your smartphone/tablet and your layar app to watch MoGo’s Winter Frost mouthguard burst to life. You’ll be able to follow MoGo on twitter and facebook, see an educational video explaining the difference between regular and MoGo mouthguards, and with a touch of the screen buy your very own MoGo. 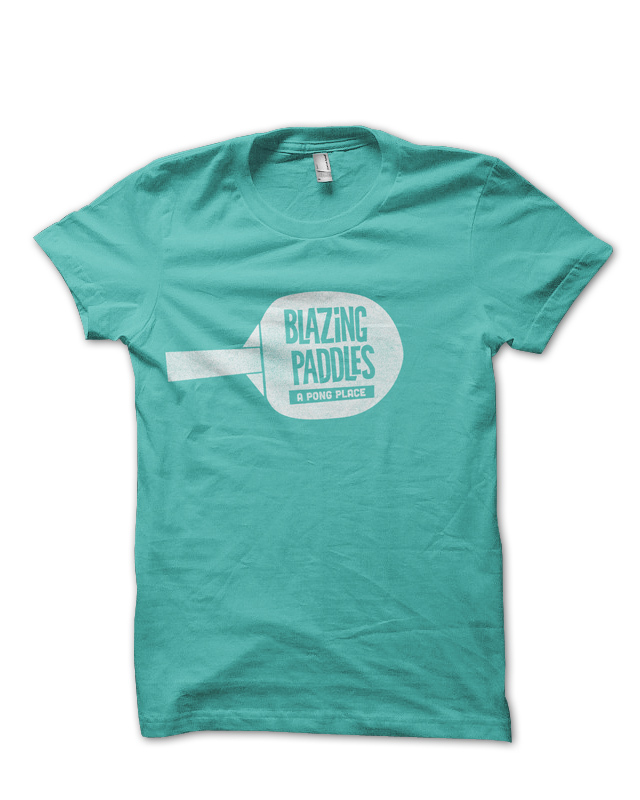 Bring flat and everyday promotions, displays, ads, posts, and packaging to life and leave the competition “shocked” and dismayed. Turn the mugshots at the Alibi Bar & Lounge into rock shows, celebrity highlight reels, promotional billboards, and the coolest reservation booker in Boston. Use your layar app below and watch Mick and the boys crank out a driving rendition of “Street Fighting Man” and then make a reservation for an unforgettable night at Alibi. Feast your eyes and ears on this. A bit slow loading due the third-party AR browser but this will give an idea of the power of adding an interactive coat to a “flat” ad or post. 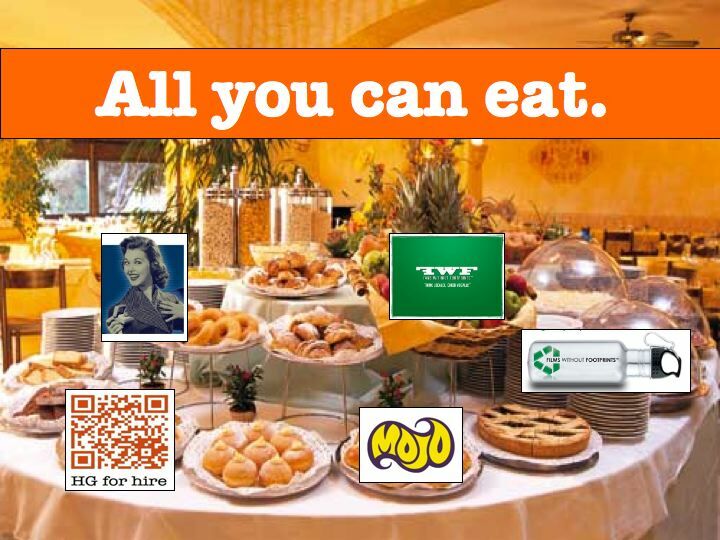 To view download the app for iPhone and Android at layar.com. towne stove and spirits is boston’s brand spanking new 2 floor, three bar, culinary extravaganza with world famous chefs creating never before seen dishes, boston’s top booze slingers mixing heavenly potions, and a bar scene where cougars, chicks, and sharks seamlessly mingle in an ocean of excitement. so, you ask, what’s the problem? 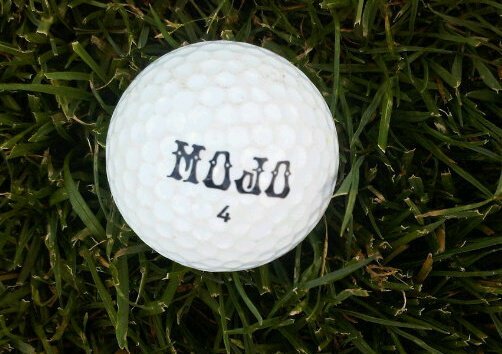 what i didn’t mention is that this 350 seat ball of excitement opened right in the recession’s sweet spot without a marketing budget and had to, from day 1, hit the ground running–no, FLYING. not even considering the “if you build it they will come” approach, together with lyons group we launched an aggressive 3 month multi-layered social media blitz. a lethal mix of building towneboston.com, powering up townetv, engaging towne’s facebook followers, tweeting real-time happenings, nurturing the all-powerful review sites, and a table turning gift card program combined to create the rocket fuel that has propelled towne to their record-breaking opening. if you don’t believe me try to get a reservation tonight (give me a call and i may be able to help you out). In the dynamic world of internal and external threats, our children’s safety while at school needs to be re-examined and supported by a multi-faceted, smoothly integrated and easily accessible suite of digital touch points assuring community-wide safety. I am interested in working with leading experts in the fields of education, security, finance, law enforcement, mental health, technology, and social science so please contact me if you are interested in discussing. Good girls go to heaven. Everyone else goes to Loretta’s.